Today's mothers and fathers want to learn about parenting from the start not only because they want to be good at raising newborns, but because it makes parenting pleasureable and satisfying. • Moms are delighted to learn that their babies in utero are already recognizing their voices, so that after birth their newborn will turn to their voice over the sound of a stranger. • Stay-at-home Dads enjoy learning that their expressive faces, especially their twinkling eyes, are the most powerful visual stimuli in their baby's daytime surroundings. • Both mother and father learn their baby's gaze evokes their return gaze as infant and parent mutually influence each other's interpersonal connection. What is Your Particular Parenting Style? Today's learning parents are finding out that to understand and know their children, it helps to understand and know themselves. What draws certain parents to attachment parenting, positive parenting, helicopter parenting, French parenting, Parental Intelligence? 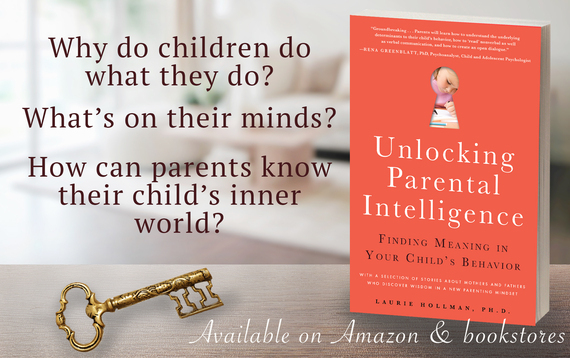 How does your temperament and the temperament of your child lead you to interact in certain positive ways? How do you build a parenting style that fits just you and your child? "To thine own self be true" is an old adage from Hamlet that is important for parents because if you know yourself, you will figure out why you react to your child's behaviors and other communications in certain ways. Then you'll be ready for one of the most the rewarding tasks of parenting: understanding what is going on in your child's mind--those precious ideas, feelings, intentions and desires--that lead to their behaviors and choices. Fortunately for us as parents today, we can carry out the roles that we do best as well as those that we just need to take responsibility for. Gender doesn't define what we are good at, interested in, or capable of learning. Family compositions take on many different stripes that lead us to do what we never knew we could be so good at. Two parent families, single parent families, gay parents, adoptive parents, blended families, stay-at-home fathers and mothers, single and dual working parents are some of the combinations of shifting family structures. 1. Listen to your child until he is finished speaking. It's tempting to interrupt and correct what doesn't' make sense to you, but there's always time to learn what you don't understand. Ask questions that encourage your child to speak in more detail. He or she may not be able to do so at first, so don't pressure your child which may lead to more inhibited speech. Just pause and ask if the child wants to say more. If not, that's enough for one day. 3. Very briefly review what you think your child said to show that you are listening carefully and trying to understand. Accept when you don't get it just right and listen some more. 4. Ask your child if he wants your opinions. Express your thoughts as developing ideas not fixed conclusions. This engages your child to consider your views. 5. Explore together different ways of looking at things. You may find you come up with a variety of perspectives together and don't have to agree. Today's parents raise children with a broad range of ideas and feelings that they want to explore. This breeds curiosity, discovery, the desire to learn, and the capacity to think from different points of view.